I was not sure how to translate coppa in English other than use the word cup…I am pretty sure there is a more accurate word for it…but nothing better came to my mind. I realized today that my English is getting worse while we were at a Chinese restaurant with my neighbors. They invited us to this new dim sum place that opened recently down the street, and while I was trying to tell a story, I had a difficult time finding words. The problem is that I rarely speak English now, I mostly speak French or Italian (I don’t really see my clients) and my English is getting worse. How awful!! Anyway, this lovely dessert has been inspired by tiramisù…but looks like a triffle. So here we go with Triffasù. The mascarpone cream is the same than in tiramisù, the difference comes from the cookies used. 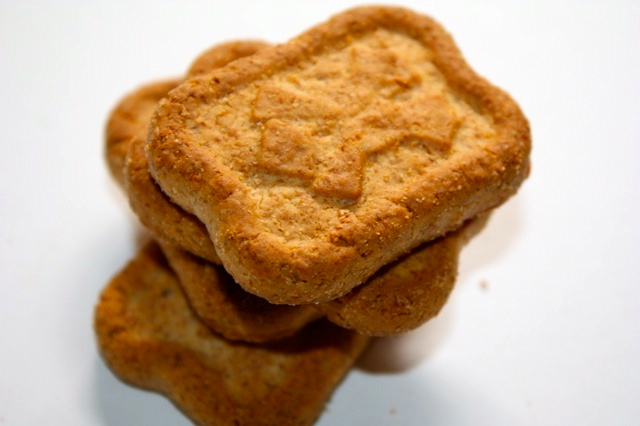 Instead of using ladyfingers I use used some Italian cookies called “cruschelle“, made with wholewheat flour. 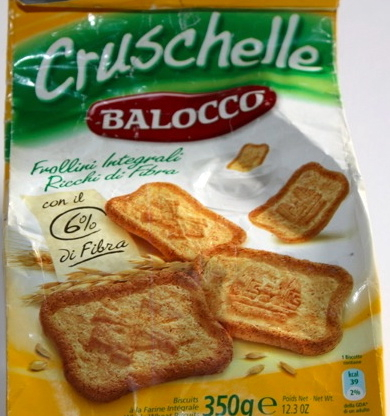 You can use regular shortbread too, anything that can be easily crumbled, but these “Frollini Integrali” are available in the US, Balocco brand is widely available here, and they are truly delicious, light and not greasy. The cookies are roughly crushed and are not supposed to be soaked, they remain somehow crunchy. 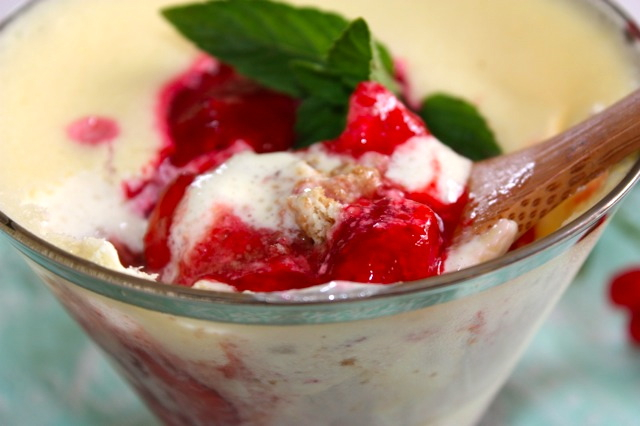 The strawberries are mixed with some of the raspberry coulis and the mixture of the mascarpone cream and juicy berries is absolutely divine. 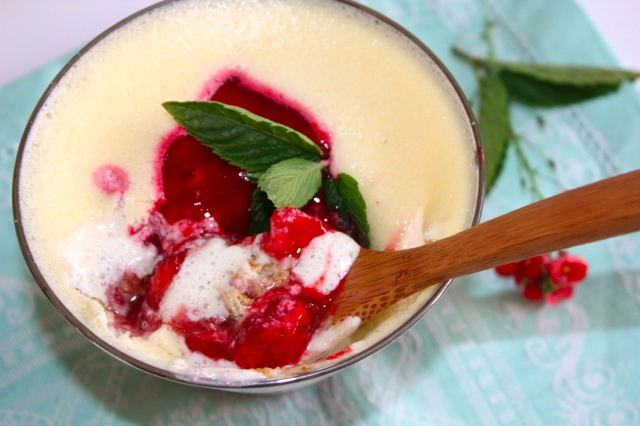 Of course, you can use just raspberries or only strawberries but I thought the combination of both had a unique character to this light dessert. 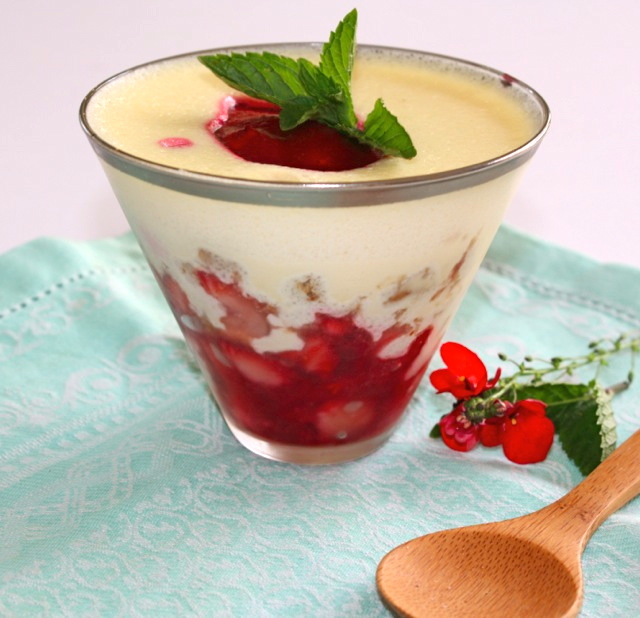 This dessert is extremely fast to prepare, definitely less than 30 minutes and does not need to be refrigerated for one day like traditional tiramisù, so when you have guests and no inspiration and no time for a dessert, this is will make the trick. Mix strawberries with sugar and set aside. Blend raspberries with sugar and pass through a sieve, to remove the seeds. Add 3 tbs of the coulis to the strawberries. For the mascarpone cream, separate whites from yolks. Beat whites to a stiff consistency. Mix yolks with sugar until the mixture whitens. Add mascarpone to the yolk/sugar mixture and mix thoroughly until the cream is smooth and homogenous. Add whites to the mascarpone mixture. Using a deep cup, add two tbs strawberry mixture, add some coulis. Add crumbled cookies, then add mascarpone cream. Add more strawberries on top and coulis. Refrigerate for one hour. This entry was posted by silvia on July 23, 2012 at 4:10 am, and is filed under Desserts, Express - Less than 30 minutes. Follow any responses to this post through RSS 2.0.You can leave a response or trackback from your own site. This is one deliriously decadent pud: a light vanilla sponge with Marsala strawberries and a potently rich mascarpone cream. This is best eaten on a hot summer’s day with some fresh lemonade.